Luang Phu Yen Thanaradto (21/3/2445 BE – 12/52539 BE), was famous for his Dtua Por Pan Pitsadarn (wierd letter P) amulets, and was an Olden Days Master famed for his good humor, ability in teaching Dhamma in a fascinating way that is not boring, and most notably for having built the temple of Wat Sra Bprian and the Sathaani Anamai Health Building in Chainat. 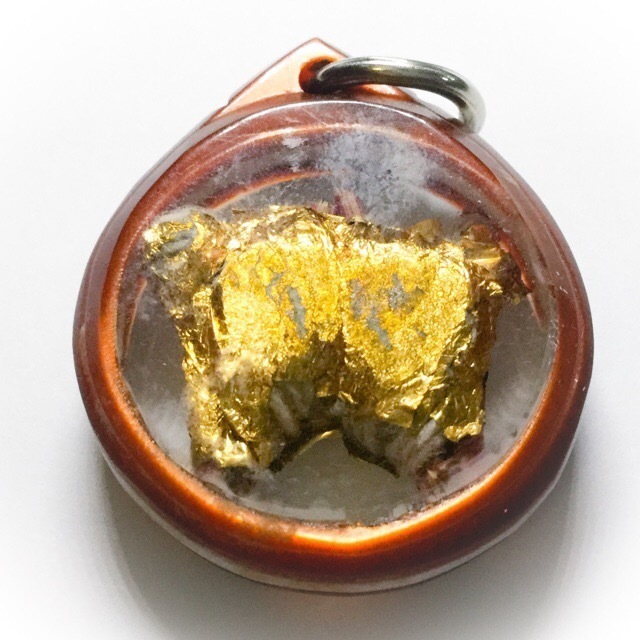 He did this with funds raised from his faithful devotees who flocked to him in Faith for his Purity of Patipata and his Great Metta, and his Miraculous Letter P Amulets, which he received the secret of the Wicha from the Mysterious and Legendary Miracle Monk, Luang Phu Taep Loke Udorn. Luang Phu Yen learned Wicha Akom with Luang Phu Sri of Wat Pra Prang, and Luang Por Im, of Wat Hua Khao. He was also famous not only for the P Pan, but also for a special Wicha he learned from his Masters, called ‘Wicha Mer Yaw’ (Long Arm Magic). 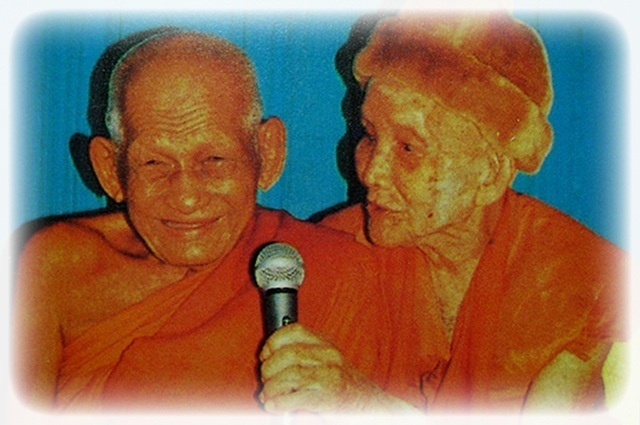 He was a great friend and companion, of the great Luang Por Guay of Wat Kositaram. 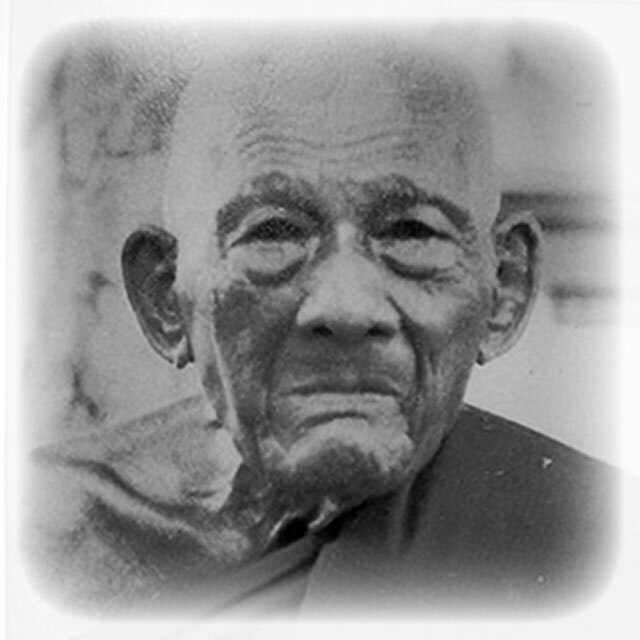 Luang Phu Yen was older than Luang Por Guay, but strangely would call him ‘Luang Pi’ (used for older brother age group – ‘Luang or, is for father age group, and Luang Phu is for grandfather age group). This was one of his Idiosyncrasies, and shows his lack of arrogance, and great Humility. He would call him by that name, because he said that he was younger as an ordained monk, for indeed, Luang Por Guay ordained first, despite his younger age. Once upon a time, Luang Phu yen was staying for rainy retreat at Wat Rakang Kositaram temple. One day, Luang Phu Yen saw a young Monk walk past his Kuti hut, and Luang Phu Yen invited him to drink some tea with him. As they partook of tea, they conversed about ordination and learning the Buddha Dhamma. The monk told Luang Phu yen that he had lots of experience, and should go wandering on Tudong (Ascetic Solitary forest wandering). But Luang Phu yen said that he preferred to build a temple as his work for this lifetime, but that he didn’t have a clue how he should achieve such a thing. The monk replied, that Luang Phu Yen should go fetch some incense sticks, and he would show him how it is done. Then Luang Phu Yen brought the mysterious monk some incense sticks, and the monk took them, and made them into the form of a Thai letter P. He then took some white Sincana Cord thread, and bound it around the Por Pan Letter P. As the Monk bound the Siincana Cord thread around the letter P made from incense sticks, he chanted Incantations, and blew spells into it. He then performed a final spell at the end and blew it over the Por Pan Pitsadarn Letter P. He then taught the whole formula of making and empowerment of the Dtua Por Pan Pitsadarn, to Luang Phu Yen, in all its facets and subtle depths as to how the secret method of empowerment is performed. Luang Phu Yen then bowed down to the Monk in thanks and respect, but as he looked up again, the Monk had mysteriously disappeared into thin air! 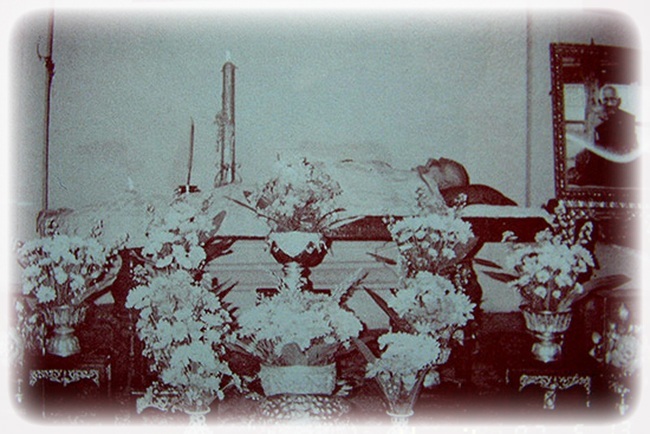 But Luang Phu Yen remembered he appearance of the monk very well in his memory. Later, after this time at Wat Rakang Kositaram, Luang Phu yen travelled to visit Luang Phu Buddha, who at that time was staying at Wat Awut. Luang Phu Yen told the tale of the strange monk and the Wicha Dtua Por Pan Pitsadarn which he had received from the Monk. As he was telling the story, Luang Phu Yen gazed over at the Bucha Altar in Luang Phu Buddha’s Kuti, and got a surprise, because it was the same Monk who had taught him the Wicha Dtua Por Pan Pitsadarn! He pointed at the Picture, and asked Luang Phu Buddha who the Monk was in the Picture frame on the Altar. Luang Phu Buddha then replied, saying that it was the Picture of Luang Phu Taep Loke Udorn. 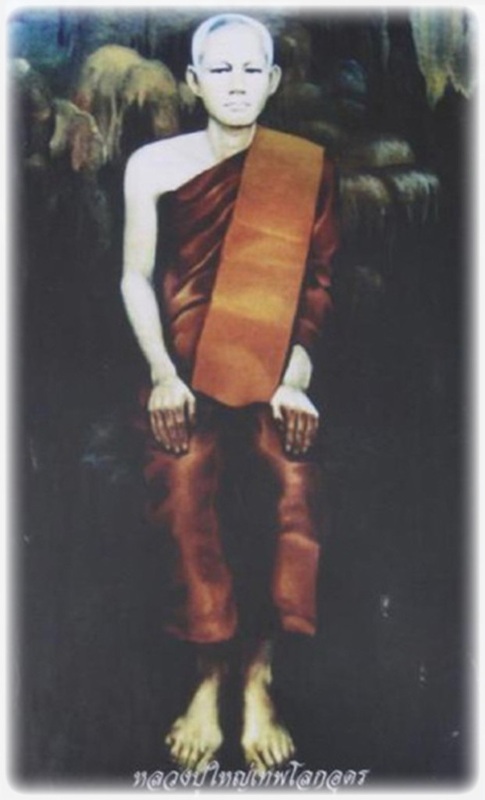 The Miracle then became evident, because Luang Phu Taep Loke Udorn is a Legendary Mystery Monk, who is never found, but who appears from time to time to perform Miracles or bestow Wicha to Adept Monks and Practitioners, and to Protect the Buddha Dhamma – it is said that Luang Phu Taep Loke Udorn Luang Phu Taep Loke Udorn is believed by some Thai People to be the still living Miracle Buddha ‘Kassapa’, who appeared as Luang Phu Taep Loke Udorn.